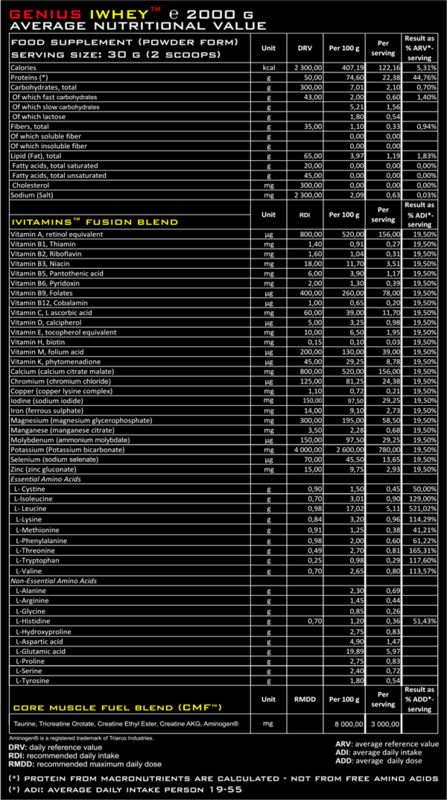 Genius™ Nutrition is proud to introduce the most innovative and powerful whey on the market. 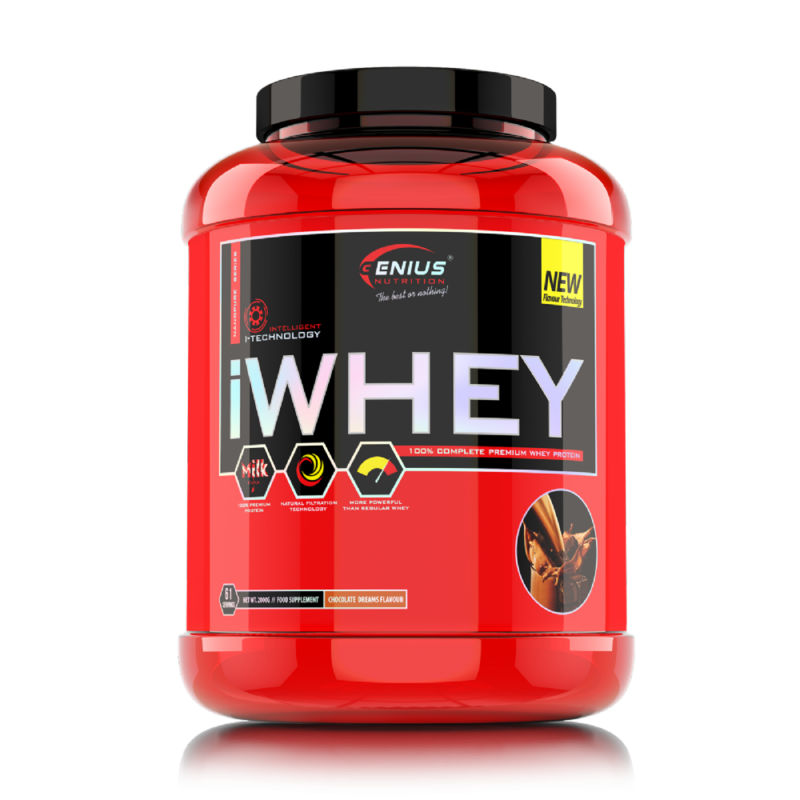 iWhey™ is the new technological evolution of intelligent whey protein powder which ensures the best fuel for your body with a superior profile of amino acids by providing in just one serving: 7g of BCAA. Due to its superior absorption qualities, iWhey is the perfect pre/post-training supplement, immediately fueling muscles with vital recovery nutrients. 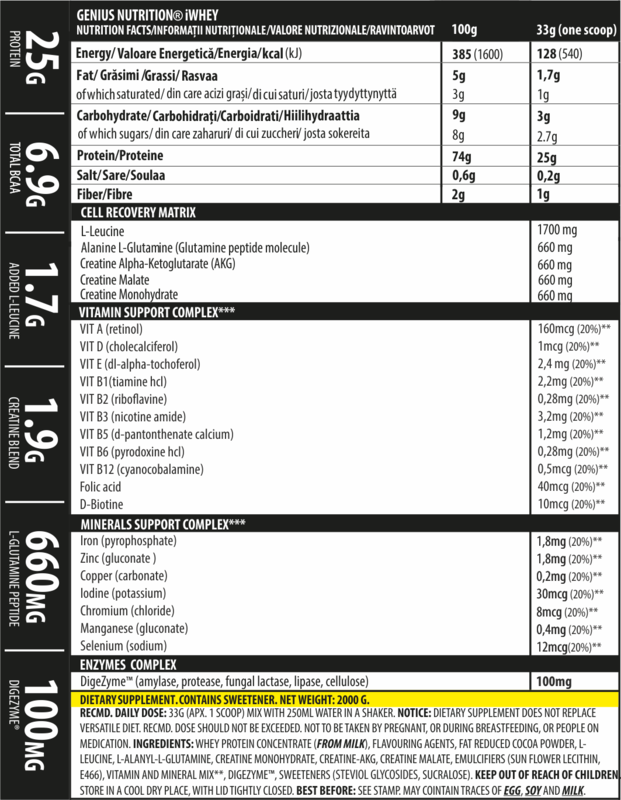 DRINKING: Add 30 g to your shaker cup and then pour 200-250 ml of cold water, milk, or your favorite beverage. Cover and shake for 60 seconds. USING A SPOON: Add 30 gram to a blender filled with 200-250 ml of cold water, milk, or your favorite beverage. Blend for 20-30 seconds. Then add 3-4 ice cubes and blend for an additional 30 seconds. AS A DELICIOUS SNACK: Try adding fresh or frozen fruits, Greek yogurt, oats, coconut milk or low glycemic high-energy ingredients to your shake and enjoy a healthylicious snack.